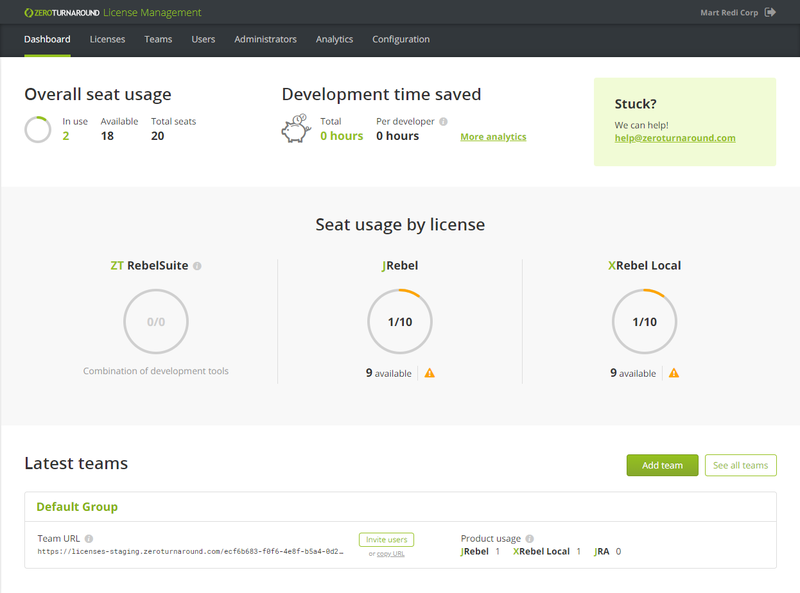 The dashboard provides a concise overview of your current licenses and products. The dashboard also tracks your total time saved using JRebel and notifies you when licenses are not being properly utilized. Overall seat usage – tracks your overall available seats and how many are currently in use. Development time saved – tracks and calculates time saved values for JRebel users. Seat usage by license – tracks license usage by product. Latest teams – displays the latest teams created and their product usage. Pressing Add team allows adding teams directly from the dashboard.